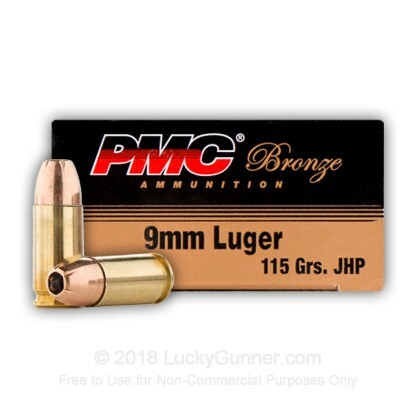 This 9mm 115 gr JHP PMC ammo is great for personal defense with its jacketed hollow point bullet design. The cavity in this JHP projectile is designed to expand on impact creating a larger terminal wound cavity to quickly bring down an attacker. 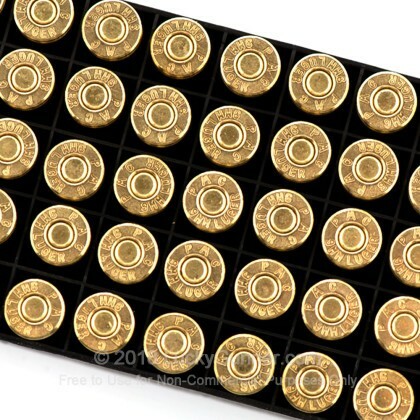 With this case of 9mm ammo, you'll receive 20 individual boxes of quality cartridges containing 50 rounds each. Quick delivery and good rounds. After several hundred rounds fired through various 9mm semi autos still going strong with no misfires or problems. Shoots accurately and reliably, highly recommended to all my friends. 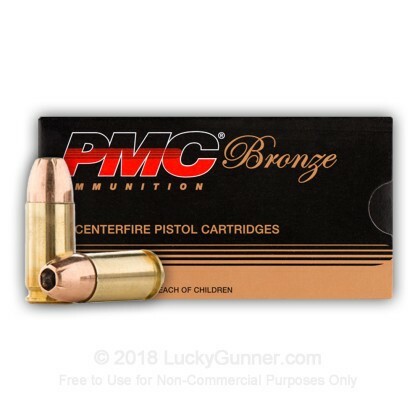 A good, dependable brand of ammo. No complaints and recommend this product to others. Prices are high everywhere right now, but priced competetively at Lucky Gunner. 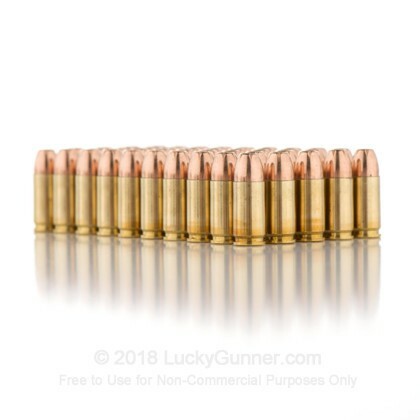 I shoot a lot, and I always come back to Lucky Gunner for quality ammo at competitive prices - especially for bulk orders. The current high demand has strained supply, and prices have been affected accordingly. 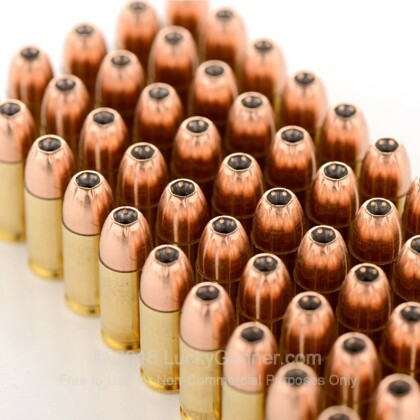 Superb defense ammo for my Glock 17! 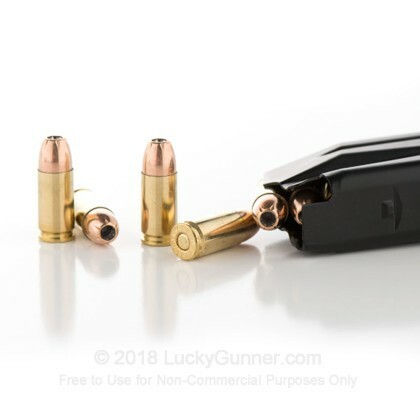 I am a cowboy action shooter who utilizes Ruger Blackhawk revolvers for competition, but a Glock 17 for personal defense. 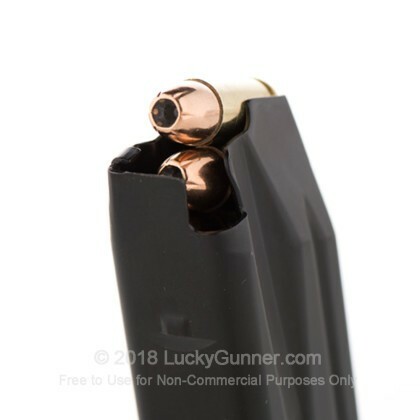 PMC ammo cycles flawlessly through my Glock 17, and hits accurately too! Shot 50 PMC 115gr JHP through my new Beretta Nano. I was very pleased with performance (1 FTE which I attribute to limp wristing). I also fired 100 PMC 115gr FMJ all cycled beautifully! 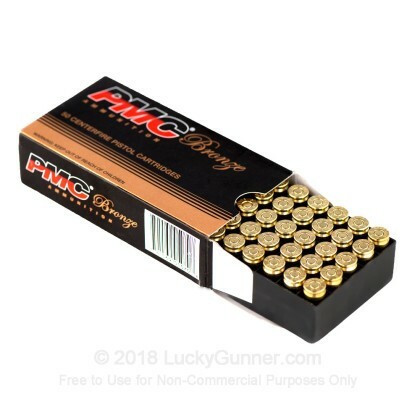 Looks like PMC is quality ammo. The ammo and shipping costs were very reasonable. I placed the order and the ammunition was at my door in 48 hours. Fantastic service and great products. I ordered 3 different calibers of ammunition and all were boxed, clean, and orderly. The ammo and shipping costs were very reasonable. 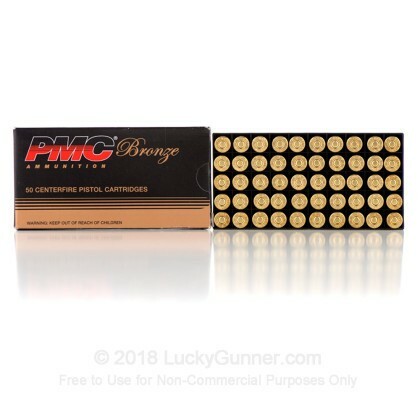 We also have this 9mm - 115 Grain JHP - PMC - 50 Rounds ammo in stock in a smaller quantity.